The choice to be a freelancer comes with a lot of fluctuation—there are slow times and busy times, and there are stressful projects and easier projects. The ups and downs that come with freelancing are aplenty—we often deal with loneliness, the stress of making all our own decisions, the struggles of having a home office (with the distractions of children, neighbors, pets, and housework)—and yet the majority of freelance translators and interpreters report that they are very satisfied with their work. How is that possible, you ask? It’s possible because we learn to manage the ups and downs. 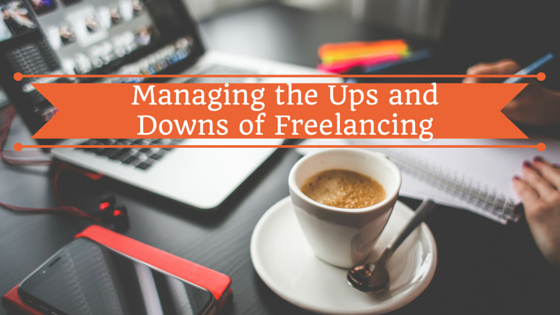 The “ups” of freelancing tend to be easy to manage. We prioritize and make lists (dozens of lists, all over the house and home office!). We learn not to overbook ourselves, taking each project as it comes and planning our time effectively. We learn to leverage work we’ve done in the past, using old glossaries and TMs from previous projects. The “downs” are trickier, but managing the slow or discouraging times as a freelancer is the key to making your career sustainable and rewarding. Below are six tips I’d like to offer on managing the ups and downs of freelancing; take it from someone who’s riding the ups and downs at this very moment! Use downtime to market yourself. A colleague recently reminded me that devoting 50% of your time to well-paying work and 50% to business development is better than devoting 99% to low-paying work and 1% to business development. If you have downtime you can devote to developing your client list and gaining better-paying clients, use it wisely! Create a marketing plan that will allow you to complete small, specific tasks related to marketing yourself on each day that you have downtime. Personally, I’ve found that downtime is the perfect opportunity to work on developing my website and adding in keywords that will help my site’s SEO (Search Engine Optimization). Keep good records and update them during slow times. Keeping good records is important for any business, but as a freelancer it’s absolutely vital. In order to leverage previous work and plan for the future, you need to have client lists, rate sheets, and project databases organized and ready to work for you. Take advantage of slow times to organize a spreadsheet or a computer folder that has been accumulating junk for a few months, or to set up a new invoicing system that will streamline your billing process. Keeping records will also help you to plan ahead. By looking back at your records kept from previous months or years, you may realize that a certain week is slow every year and you should plan a vacation for that time next year. During a recent slump in my work, I was encouraged to look at my records and find that I was still meeting my goals even though I had a few slow weeks towards the end of the year. Develop new skills or hone old ones. Downtime can be a good opportunity to try new things. During slow times, consider volunteering your language skills for an organization in your area or a volunteer translator website. Volunteering can help you develop new skills; for example, if you are a translator, you may consider volunteering in a subject area you haven’t worked in before (with the understanding that a qualified professional should check your work). If you’re looking to begin offering a new service, such as transcription or interpreting, this can be a good time to hone those skills as well. I recently took a training course in interpreting but haven’t had much opportunity to practice it professionally, so one of the things I’d like to do in my downtime is volunteer as an interpreter for an immigrant and refugee center in York. Try building up your network during downtime, not only as a way to fill your time, but also as a way to get new work. Get to know other freelancers, whether in person in your local area or through social media. My experience has been that fellow freelancers are incredibly supportive and will be happy to give you tips to carry you through the rough times. Some of the people you meet may even become informal mentors or may refer work to you at times. 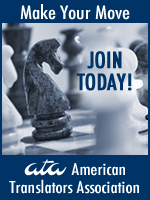 Some ways to meet and connect with other professionals include chambers of commerce and meet-up groups. I personally plan on joining a Young Professionals Network here in Lancaster after the holidays to meet other like-minded people and expand my network. Keep a list of things you want to do “someday”. When you have some downtime and have exhausted all of your professional efforts to market yourself, keep good records, develop new skills, and build your network, pull out this list. One of the perks of freelancing is that there’s no boss to tell you that you can’t go for a jog in the middle of the day or pull out that craft project you’ve been working on since 2002. I consider myself lucky to have had enough downtime in the last few weeks of the year to work on making Christmas gifts from ideas I found on Pinterest; this is the first year I’ve actually had time to do that! Hold a “Do It Day”. One final suggestion I have on managing downtime is to gather a few freelance colleagues and hold a “Do It Day” (shout-out to freelance translators Corinne McKay and Tess Whitty for this idea). This is a day that you dedicate exclusively to cracking down on that list of tasks you’ve been avoiding for too long. You and your colleagues (I would limit it to three or four) connect once each hour to tell each other what you did in the last hour and what you plan to do in the next hour. My group uses ooVoo, a free video chat software. I have found that this is a great way to take advantage of downtime in a fun way that will hold you accountable to cutting down on that ever-growing to-do list. Managing ups and downs isn’t easy, but if you leverage them to your advantage, your career will be far more rewarding and the busy times will return before you know it. I totally agree! As a relatively newbie, I spend my downtime updating my website/blog to help with SEO, connecting on different networks and participating in social media, and speaking to language students at my alma mater. It also keeps your mind in a positive space by continuing to work on something, instead of sulking over not having enough work. When I don’t have work, I figure I might as well be doing something than nothing! Those sound like awesome ways to fill your downtime! I completely agree that staying busy with other things puts you in a positive state of mind. I totally agree! I try to manage these expectations when I speak to other people who want to translate. I decided recently to keep working when I’m in a lull – work on my website and blog, connect on line networks, and be active on social media. I figure it’s better to be doing something than nothing – it can only help! Great list, Jamie! You can add my experience to vouch that it is spot-on. I have been doing all those things, too. Thanks Jonathan! Glad to hear that you agree. Thanks a lot for this encouraging tips since I actually have such a downtime. I now have new projects in mind for my “list” and will start tomorrow morning right away.